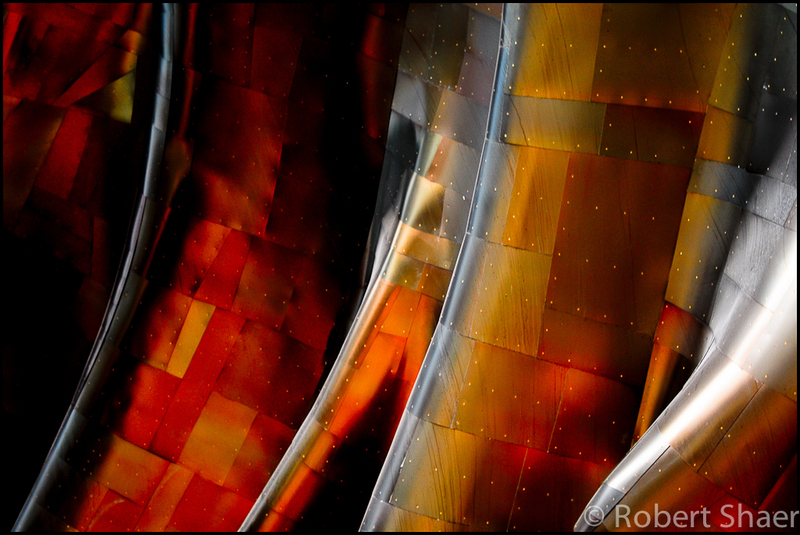 I was in Seattle in June of 2006 to photograph the Edgewater Hotel and spent a couple of hours wandering Seattle Centre. It was amazing to see how dynamic the ‘Skin’ of Architect Frank Gehry’s Experience Music Project was even in the dull and overcast light. This is gorgeous, Rob. I love that “skin” – the iridescence kind of alters reality as you look at it – I think this image really captures that (got more drawn in, the longer I looked). Thanks Chris, funny, I shot this years ago and always looked past this image in particular and a couple of others for something more literal. It’s amazing what kind of difference the perspective of time creates. Cheers.